Hello April! The Earth hour has just passed and Earth day is coming, it's time for us to love our earth more with Bare for Bare Recycling Campaign. 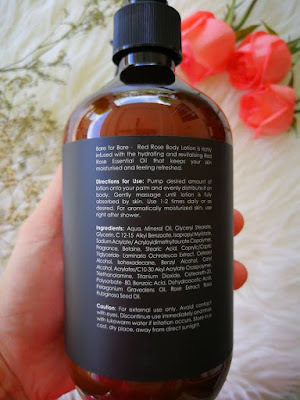 Origin from Singapore, Bare for Bare's body and hair products are infused with nature’s healing and therapeutic benefits to boost physical well-being. Bare for Bare is inspired by timeless approach – as the name suggest, returning to basic, drawing inspiration and deriving benefits from the natural goodness of Mother Nature’s botanical treasures. 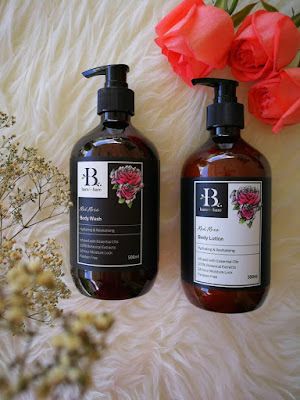 My recent favourite is Bare for Bare Red Rose Body wash and body lotion. 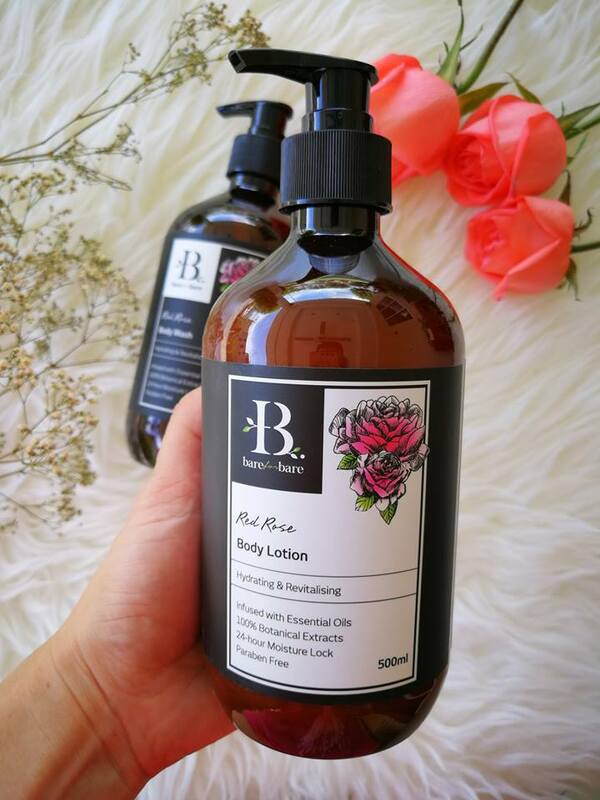 They smell so good and fresh in red rose scent, they are also contain excellent anti-inflammatory and anti-ageing properties that help to stimulate cell regeneration and strengthen existing skin cells for a fresh, dewy and healthy complexion. It's a best products to ignite and rejuvenate the senses after a long day out. The best part is, they are infused with essential oils, 100% botanical extracts, paraben free and gives 24-hour moisture lock to the skin. 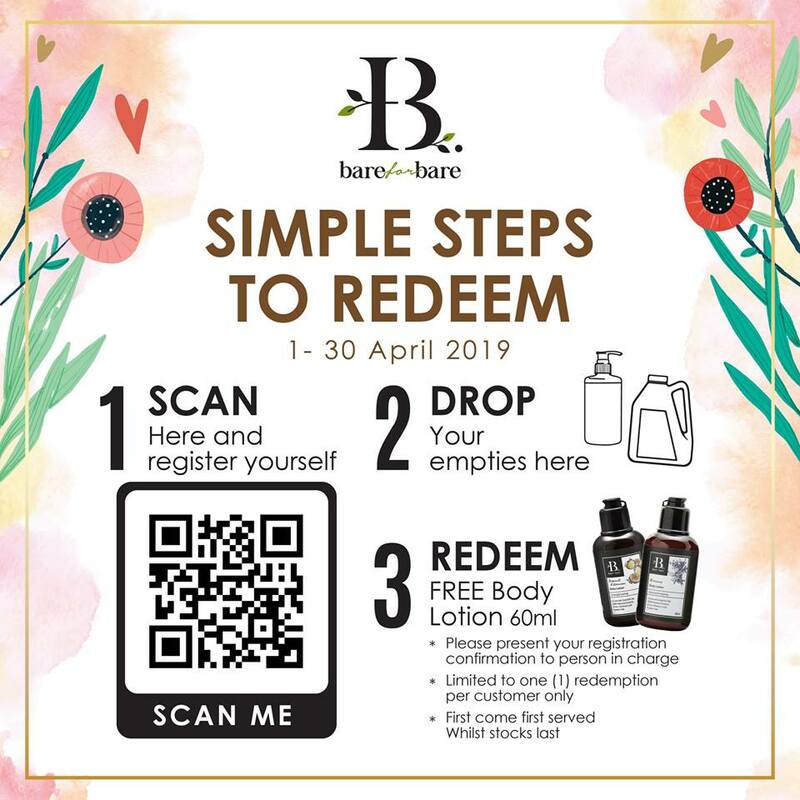 This April in conjunction with earth day, Bare for Bare is having a recycling campaign. Bare for Bare invites all shoppers to bring their empty personal care and skin care product packaging to redeem a complimentary 60ml Bare for Bare product. The redemption will starts from 1 – 30 April 2019 and available at selected Alpro Plus Pharmacy and Centro Maxx. 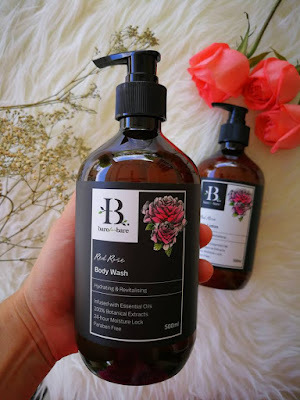 Bare for Bare products are currently available online and offline at Fashion Valet, Play Up by Parkson and Alpro Plus Pharmacy. In terms of online, their products can be purchase at their website www.bareforbare.com and other online platform such as Lazada, Shopee and 11 Street. Let's give back to the Earth and meanwhile, enjoy your shopping!